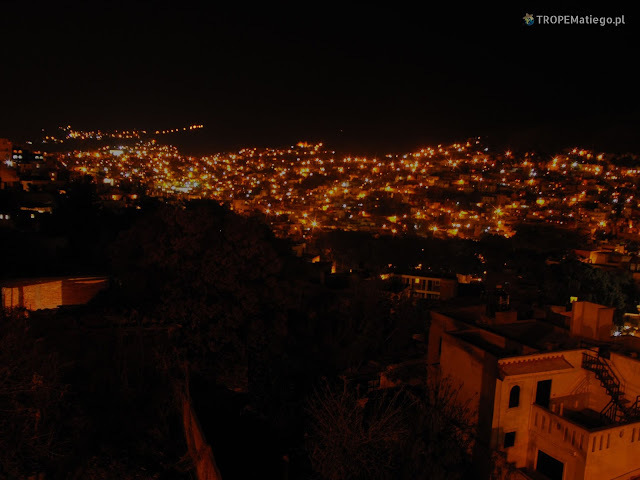 Guanajuato is a special place with unique atmosphere. The city is situated in the valley surrounded by mountains. This is the place of silver, students and mummies. 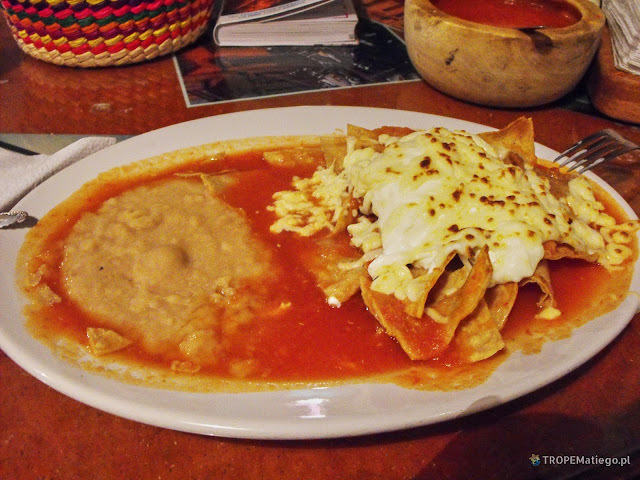 It is pretty easy to get there from Mexico City. There are two options: plane or bus. 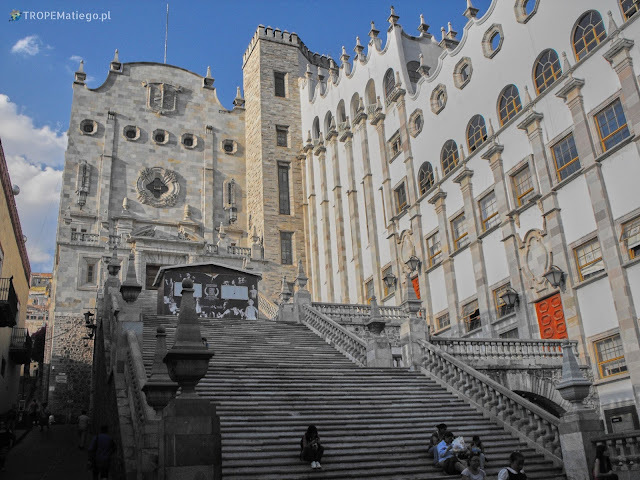 If you choose plane, you need to remember that you still need to get some transport to Guanajuato. The plane has the airport around 30 km from the city. I chose the bus. The buses leave from North Bus Station (Terminal Central del Norte). More information about the terminal is in the post about Teotihuacán. This time I took a higher class bus then usual. I took the first class (it's not the highest possible class). For 720km (360km in one way) I paid 436,50 pesos, approx. $23. You need to give your data from passport to purchase the ticket. You will also select the seat on the monitor. It looks very similar like choosing seats in the plane. After that, security check at the terminal and one more just before entry to the bus. Before the entry, pretty hostess also offers refrescos, sandwich and something sweet. Refrescos are refreshing drinks like water, cola, juice, etc. It has usually 600 ml. Big luggage are hided to the luggage compartment. Sticker with individual number is placed on the luggage, second part of the sticker goes to the passenger. This is needed to get back your belongings. The bus is comfortable, spacious. You can feel it is the first class. The quality is very high. Seats are made of leather, adjustable footrest. In practice you can feel almost like in the bed. When the bus started, monitors show up. For the whole journey some movies are being shown. A few hour drive through the steppe land at 2 km asl passed very pleasant. At the place - where is the city center? The bus stops at the district called Villa Hermosa, it is long distance from city center. It can be difficult to get there. Two roads lead there: Dolores Hidalgo or Blvcd. None of them are fit for walking. Nevertheless I walked on both of them. It was a demanding trip - a little of shadow, a lot of burning sun. Sometimes the roadside is missing, so the walking gets more difficult. Depends on your form it may take even two hours to reach the city center. 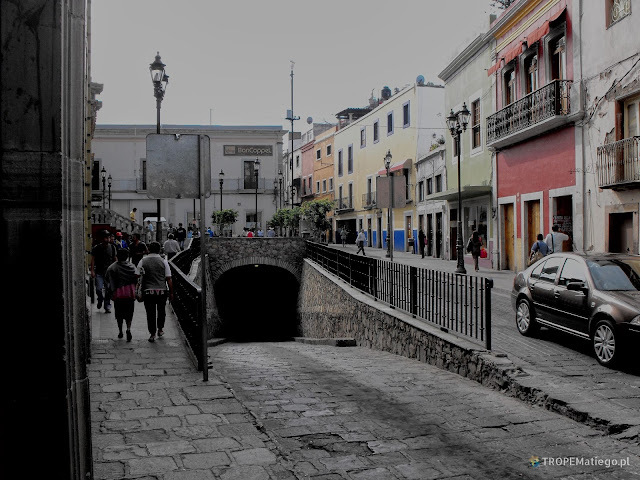 City center is in the valley.The city is known for its famous narrow, colorful alleys. They have even a legend. Apparently, a couple of lovers were kissing each other standing on opposite balconies. They were so close to do that. Unfortunately it finished tragically for them. On hillsides of the city are residential quarters and hostels. Very often the streets are full of never-ending stairs. 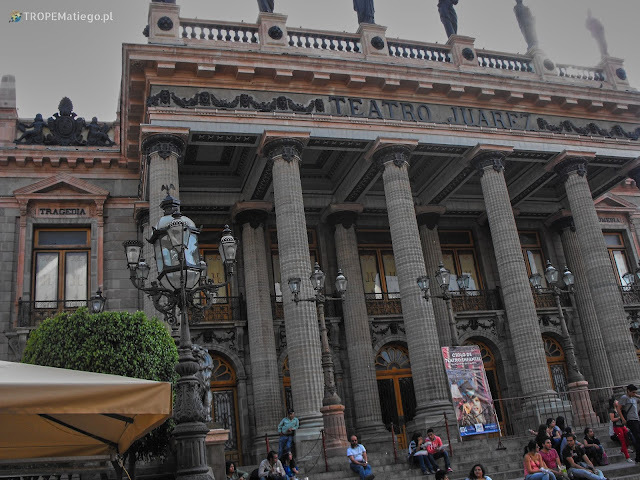 The city has many attractions such us baseball stadium, Juárez Theater and many more. This theater is worth to see. The building facade is worth a few photos. In October Festival Internacional Cervantino is held here. This theater is a center of the festival and the festival is dedicated to Miguel Cervantesa, author of the novel Don Quixote. Next to the theater is the famous park called Jardín de la Unión. In this park people from the city spend their free time, sometimes there are some concerts. Guanajuato is a student city. There is around 30 thousand students. Many of them can be found in Plaza de los Angeles. In warm, sunny days many young people paint under trees, on benches, almost everywhere. Waiters invite to visit their restaurants. Very atmospheric place. At the top of hillsides of the city is amazing view. 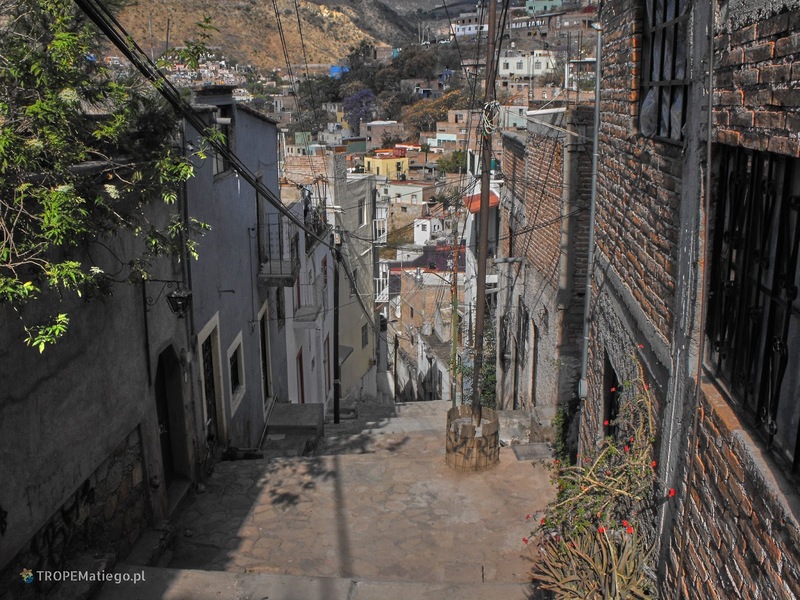 First you need to walk through maze of narrow streets, going up to the top. 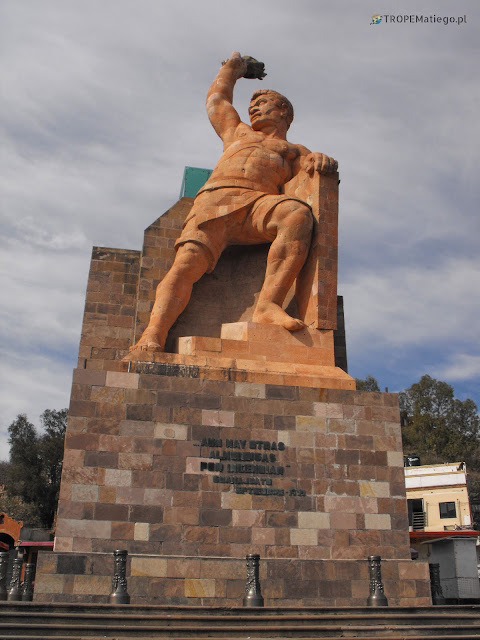 There is also monument of local hero: El Pípila. His actions were crucial during the fight for city independence. 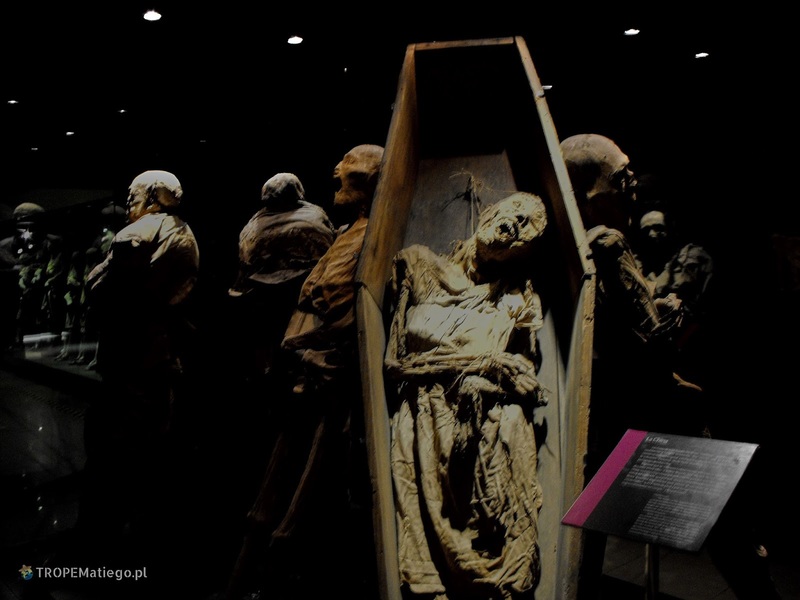 The most famous and the most controversial attraction of the city is Mummy Museum. Long time ago burial tax was introduced. Not every family wanted to pay it for their dead relatives. Then, the dead body was taken out from the grave. 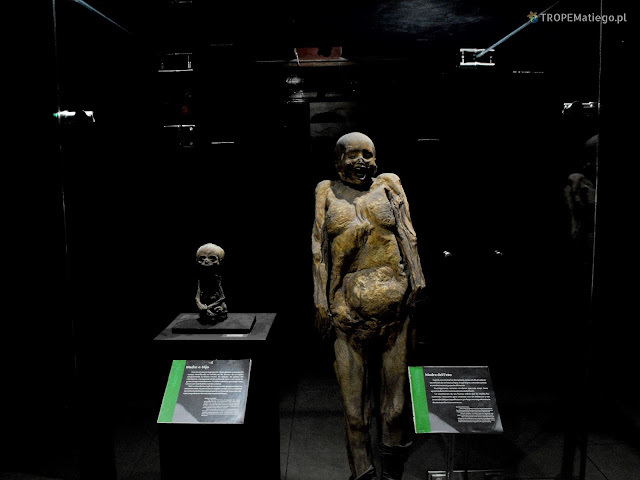 The specific characteristics of the soil caused mummification of the bodies. Decomposition has been stopped at certain level. 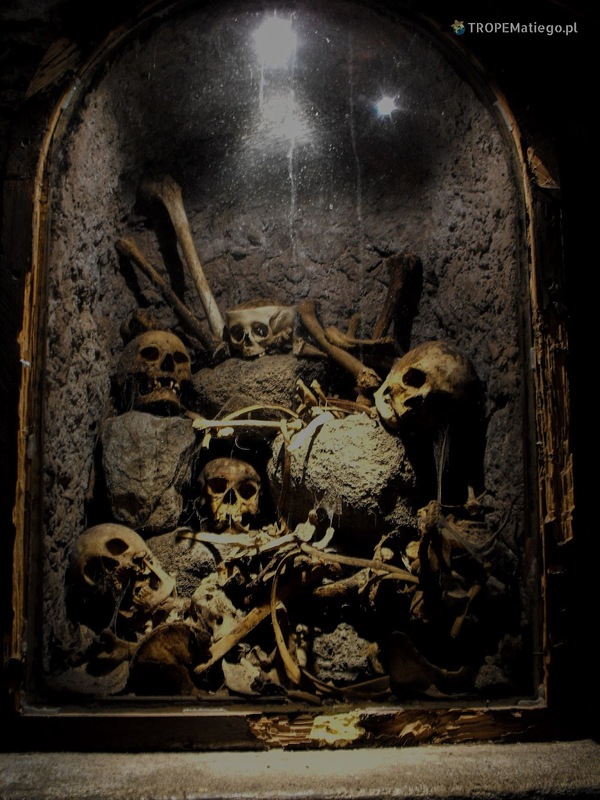 The mummies were stored in one of the city buildings. One day, someone wanted to see the mummies. It was possible after giving some bribe. Then others came. It was the beginning of the Museum. Very often, mummy is described by the first and last name. Sometimes there is also picture showing the person alive. The atmosphere inside is unique and mysterious. This place may change a bit everyone, can affect the psyche. 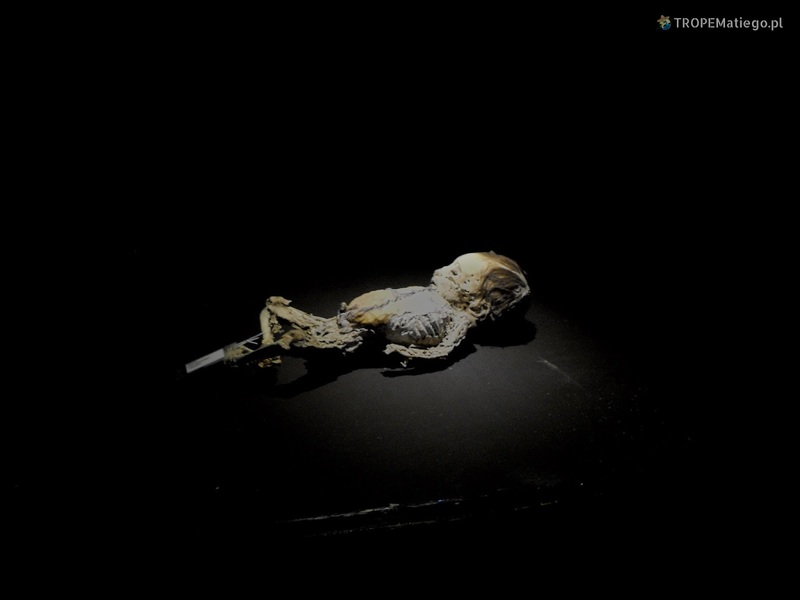 Not everyone who come to Guanajuato visits this Museum. Especially when you are passing next to the display cabinet with dead infants. It's not so easy to find the museum. 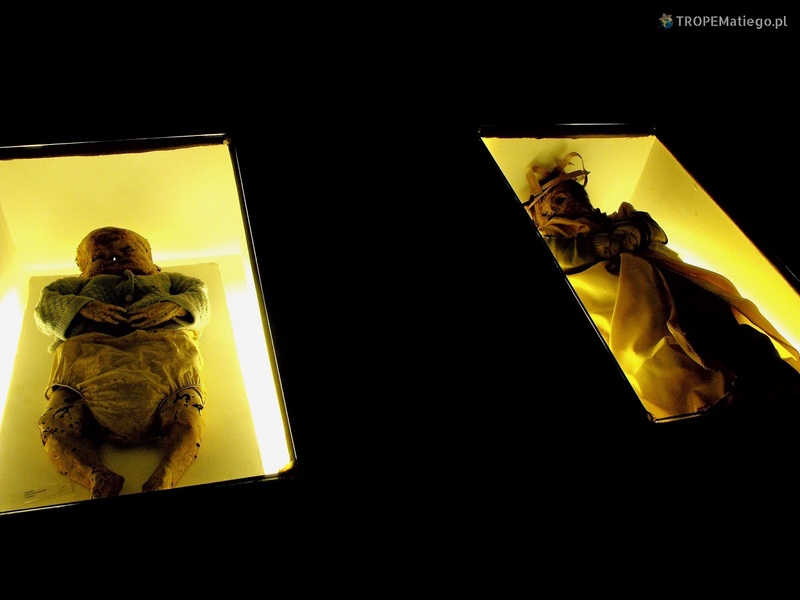 The mummies are located outside of the city center. Close to the museum you have to turn from main street to side one. Occasionally, there are signposts, but they are insufficient. The area is not so touristy and colorful. The building looks usual. In the front of the museum is square, few souvenirs stalls may stand there. Nevertheless, it is easy to miss that, especially if the area is empty from the tourists. In 2014 entry costs 55 pesos, for camera is 20 pesos. Formerly a river was flowing through the city. 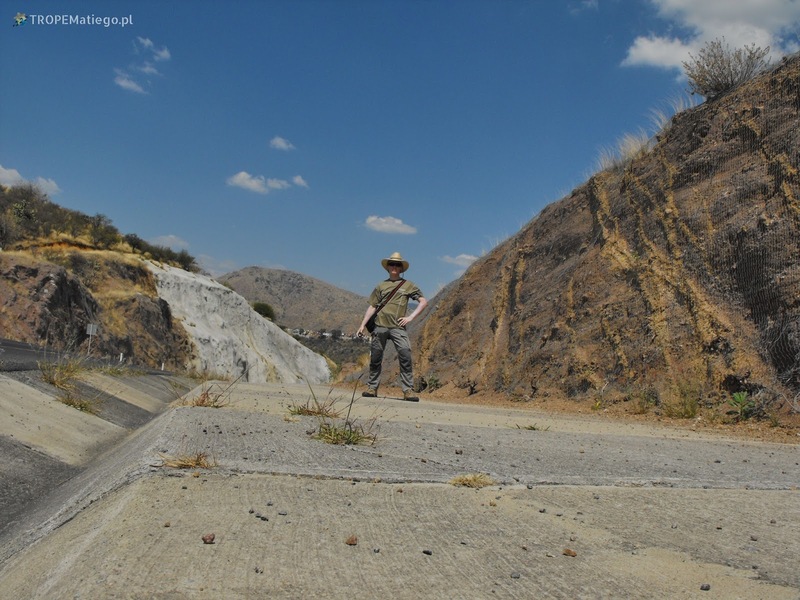 The authorities decided to dry the river's canals, very often underground ones. It was the solution to reduce traffic. As a Side effect, underground city arised. I heart it is interesting place, but dangerous for tourists.